Mister Rogers arrives with a large suitcase filled with the puppets from the Neighborhood of Make-Believe. After talking about how some things are only pretend, Mister Rogers takes out each of the puppets and shows that he is the one that makes them move and talk. He then shows a film featuring some behind-the-scenes footage of the Neighborhood of Make-Believe. At Bob Trow's workshop, Mr. Trow takes a break from repairing a washer and dryer to show that he his behind the voice and movement of Harriett Elizabeth Cow. Mister Rogers then works with Mr. Trow to learn how the potato washer-dryer-sorter-dumper works. In the Neighborhood of Make-Believe, Bob Dog and Francois Clemmons are taking pictures of one another when Lady Elaine shows up in the background. After seeing their pictures, Lady Elaine reveals that she is starting her own television station -- MGR-TV. Inside the Museum-Go-Round, Lady Elaine shows off her new studio. The new camera is delivered by Yoshi Ito and Lady Elaine puts her new station on the air. Her first broadcast includes an interview with and dance peformance by Bob Dog. This is followed by Francois Clemmons and Yoshi Ito singing Pretending. 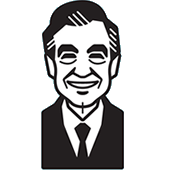 Back at the house, Mister Rogers returns the puppets to their case as he talks about other Neighborhood characters who might like to have their own television stations. He closes by mentioning that he, himself, has his own television program because he cares about children. During the behind-the-scenes film, Fred Rogers and Bill Barker greet one another after Mr. Barker emerges from behind the Platypus mound. Their greeting is a very unique handshake/salute and Mister Rogers explains that he and Mr. Barker regularly greet each other that way. This handshake is also seen when Mr. Barker first visits the Neighborhood in Episode 0099. The potato washer-dryer-sorter-dumper is an invention of Donkie Hodie and Harriett Elizabeth Cow which can be seen in Episode 1324. Probably in refernce to unrealized marriage plans in the previous episode, when asked what MGR stands for, Lady Elaine first says "My great romance" under her breath before explaining that it actually stands for Museum-Go-Round. As Mister Rogers and Mr. Trow are pretending to wash the potato, it falls to the floor. Never one to be wasteful or set a bad example, Mister Rogers picks it up and says to Mr. Trow, "We shouldn't play with food like that but there's your potato." 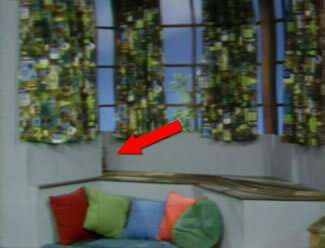 Just before Mister Rogers enters at the beginning of the episode, as the camera pans the house's interior, the Trolley can be seen barely sticking out on the track. This episode is included on the Helping Children Understand video disc.